The County Agency for Payment and Social Inspection Constanta is a public agency with legal entity, is financed from the state budget, and it is a de-concentrated public service of the National Agency for Payment and Social Inspection. AJPIS Constanta makes sure that the law is equally applied regarding law of labour, social protection, social benefits and family. The Agency was established as a necessity to function a similar entity in the social field, similar to the ones existing in the other UE state members. AJPIS Constanta has implemented in territory, national programmes which were adopted and assumed by the Government, in the field of social protection and social benefits. A big project implemented by the institution, in Constanta county, was the one regarding the minimum income guarantied. The law was adopted nationally in 2001, but the responsibility for the implementation was to the local public authorities. Starting from 2011, all AJPS retrieved the management of the cases and the payment of this social benefit. Another governmental program implemented by AJPIS Constanta it regards allowances to help families. In the year 2010, was approved the Law number 277, regarding the allowances for sustaining the family. The law established a form of help for the families with low income, which raised a child or more with the age less than 18. AJPIS Constanta serves around 148 796 beneficiaries and monitors 23 social service providers (Jan 2016). The County Agency for Payment and Social Inspection Dolj is a local public service with legal entity, financed from the local budget, which has the goals to make sure of the unitary appliance of the law regarding this field, and also the control of respecting of the legal issues regarding the social benefit and social services, preventing and elimination of the fraud and corruption in the social assistance field. The agency was established in 2008, as a necessity in the social assistance field, similar to the ones existing in the UE state members. AJPIS Dolj registers monthly the documents for the social benefits regarding: establishing the right for social help, allowance for sustaining the family, state allowances for children, indemnity for raising and taking care of the child until 2 years old or until 3 years for the child with disability, allowance for placement, allowances for the persons infected by HIV. In the agency a person was delegated to be the president of the county commission for equal chances in Dolj county. AJPIS Dolj serves 145 611 beneficiaries and monitors 52 service providers (Jan 2016). The County Agency for Payment and Social Inspection Teleorman is a local public service with legal entity, financed from the local budget and is a de-concentrated public service of the National Agency for Payments and Social Inspection. AJPIS Teleorman makes sure of the appliance in a unitary way of the law regarding this field, and also the control of respecting of the legal issues regarding the social benefit and social services, preventing and elimination of the fraud and corruption in the social assistance field. The agency was established, as a necessity in the social assistance field, similar to the ones existing in the UE state members. Law nr. 277/2010 regarding the allowance for helping the family – this law establishes a form of help for the families with low income which have to raise and take care children with the age no more than 18. OUG nr.111/2010 regarding the vacation and the monthly benefit for raising the children. The Agency for Social Assistance is an administration to the Minister of Labour and Social Policy to implement the state’s policy on social assistance. 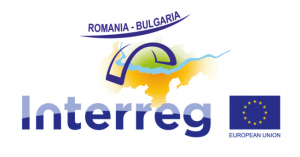 To bring together the people, communities and economies of the Romania-Bulgaria border region to participate in the joint development of a cooperative area, using its human, natural and environmental resources and advantages in a sustainable way. The project goals comply with the specific objectives of Priority axis 5: To increase cooperation capacity and the efficiency of public institutions in a CBC context and will contribute to its indicators with the proposed activities. The Inspectorate to the Executive Director implements specialized control on the lawful application of the regulations in the field of social assistance. The personnel of the ASA comprises of 4734 employees, its functions have national territory coverage via 4500 employees organized it the Directorate General “Social assistance”, 28 Regional Directorates “Social assistance” and 147 Directorates “Social assistance”.